The 2018-19 Rising Song Fellows at their first retreat, February 2018. The fellows convene for four retreats in Philadelphia, to learn, create, experiment, and collaborate in the context of a safe and challenging incubator. Aviva is a ba’alat niggun, award-winning musician, and mindfulness educator based in Toronto. Alongside an active performing and touring career, she has served in and around Toronto and as a guest in communities across North America, leading and teaching about the voice in prayer. Aviva completed her training as a mindfulness meditation teacher with the Institute for Jewish Spirituality and is the founder of two mindfulness programs in Toronto: the Mindfulness Minyan and the sitting and singing community neySHEV. Aviva facilitates adventures for freeing the voice at home in Toronto and with diverse communities while on her many travels. Shir Yaakov Feit is a singer, composer, designer, producer, and teacher. Shir Yaakov has recorded and released four albums of original music; as co-founder he performs with the Darshan Project. His song “Broken-hearted” won the Forward’s Soundtrack of Our Spirit songwriting contest in 2016. His music is foundational to the sound of Romemu, where he served as musical director. He is a student in the ALEPH rabbinic and spiritual direction ordination programs and a Wexner Graduate Fellow. Multi-instrumentalist and composer Yoshie Fruchter has made his mark with a style of playing and composing all his own. He is a busy guitarist, bassist, and oud player who has released two albums on John Zorn’s Tzadik label as a leader and played on three others. Having grown up an Orthodox Jew, he is notable for his work in composing, performing, and interpreting Jewish song and has constantly forged new directions with his music, regardless of genre. He recently released an album on the new Jewish record label Blue Thread Music of post-rock arrangements of old cantorial recordings entitled Schizophonia. Gayanne Geurin serves as music director and lay cantor at Atlanta’s Congregation Bet Haverim, directing a uniquely relevant program that is rich in innovation, collaboration, and ruach. She works relationally with communities as an organizer of creative and spiritual endeavors. A former psychotherapist who is now a vocal coach, Gayanne offers a multidimensional approach for singers. She performs with Bet Haverim’s celebrated chorus and can be heard on their album Beyond the Veil: Chant. Yosef Goldman is a spiritual artist, activist, and community builder. Raised Orthodox in New York City in a mixed Ashkenazi and Mizrahi home, Yosef has taught and facilitated sacred prayer space in communities throughout the Jewish denominational spectrum. He performs as a vocalist with Joey Weisenberg and the Hadar Ensemble and is the creative advisor to the Rising Song Institute. He is a founding member of the Epichorus, a Middle Eastern Jewish music ensemble, and of the Shir Singing Circle, a Jewish music collective in Philadelphia. Yosef serves as rabbi and director of sacred music at Temple Beth Zion–Beth Israel in Philadelphia. Aly Halpert is a queer, Jewish, young adult musician based in Millerton, NY. A singer, pianist, and guitar player, Aly writes songs for community, collective liberation, and visioning different worlds. She believes deeply in the power of music both to awaken us to the loss and hope we carry, and to shift what we perceive as possible. Over the last five years, Aly has been immersed in Jewish song communities and has had the privilege to co-lead music at Eden Village Camp. Whether the songs she writes or leads are serious or seriously goofy, her awe at the importance of this work to mark time, heal grief, connect people, and bring more life only grows. Anat Hochberg grew up in the Boston area with family roots in Israel, Yemen, Poland, and Hungary. A pianist and singer, she went on to study music education and piano performance at UMass–Amherst. Anat has taught music in high school and elementary school settings and has also been a year fellow at Yeshivat Hadar. She has served as the Jewish life and ritual team leader at the Moishe Kavod House Boston and as music director at Eden Village Camp. Anat is a member of the Hadar Ensemble and recently appeared on and co-produced the album Elul: Songs for Turning. Batya Levine is a Jewish educator, ritual leader, facilitator, and musician. She is a founder and organizer of Let My People Sing!, a project which brings together a diversity of Jewish cultural and ethnic music for the sake of learning, sharing, and creating powerful singing space. Currently, she is recording an album of original Jewish music. Coming from the Jewish lineage of the tribe of Levi, who were the musicians in the Holy Temple, Batya is dedicated to music for the sake of healing and growth on the individual and communal levels. Chicagoland native and NYC-based cellist Jessie Reagen Mann is a member of the Om Shalom Trio, a musician at Congregation B’nai Jeshurun, and a founding member of cello duo 2VC. Jessie recently completed the left-hand technique book 60 Seconds to Excellence and has composed two works for Carolyn Dorfman Dance. Part of the Adele Live 2016 tour, Jessie has also performed with Jay-Z, Beyoncé, Savion Glover and more on stage and TV. Jessie is on faculty at BIMA at Brandeis University and the United Nations International School. Miriam Margles is an artist, educator, and activist and has served as the rabbi of the Danforth Jewish Circle in Toronto since 2010. 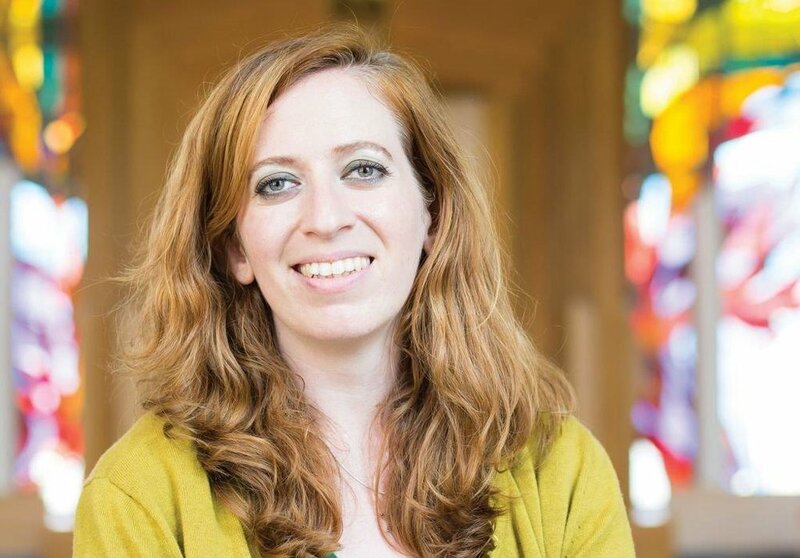 She is a graduate of the Reconstructionist Rabbinical College, an alumna of the Wexner Graduate Fellowship, and has been a Jerusalem Fellow at the Mandel Leadership Institute. Miriam earned a master’s degree in theological studies from Harvard Divinity School and a BFA in creative writing from York University in Toronto. Jessica Kate Meyer serves as a rabbi at the Kitchen in San Francisco. She strives to build community through prayerful music, and music through prayerful community. Jessica has studied and performed sacred (and profane) Jewish music with rabbis, paytanim, and klezmorim in Jerusalem and in the United States. In her previous life, Jessica appeared in many film, theater, and television projects in Europe and the United States, most notably in a principal role in Roman Polanski’s The Pianist. Chava Mirel is a singer, composer, and multi-instrumentalist who combines rich, luxurious vocals with deep pocket rhythms to bring a new approach to Jewish music. With themes of gratitude, self-acceptance, balance, and responsibility for one other, Chava’s songs bring comfort and uplift the spirit. Chava’s songs are featured on Together as One: New Songs of Social Justice (an album benefiting the Religious Action Center of Reform Judaism), in Jewish Rock Radio’s “Gift of Music” initiative, and in Behrman House’s “Hebrew in Harmony” curriculum. She has recorded two albums and also writes and records with Josh Niehaus. Born in Sydney, Australia, to Iraqi and Indian Jewish immigrants, George Mordecai was immersed in the musical liturgical traditions of his family from an early age and weaves this rich cultural heritage into his work. He was invested as a cantor by JTS in 2000 and has sung with internationally renowned music ensembles. George has worked as a cantor in Philadelphia; Miami; Stamford, CT; and White Plains, NY. He recently returned to his native Sydney to become the cantor of Emanuel Synagogue. 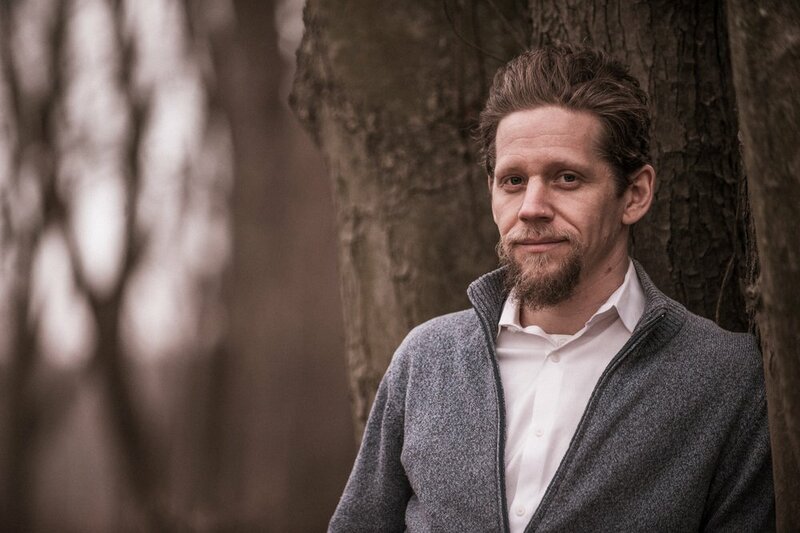 Co-creator of the performance project Shalom/Pax, George continues to pursue devotional music that speaks to the sacred interconnectedness of all humanity. Rabbi Bronwen Mullin is the rabbi of Congregation B’nai Jacob in Jersey City, NJ. She has developed numerous artist programs and residencies at both institutions with the support of a Myers Grant and a JTS Seeds of Innovation Grant. She is a musical theater composer whose newest project, Bat Yiftach: A Tragic Punk Opera, will premiere in October 2018. 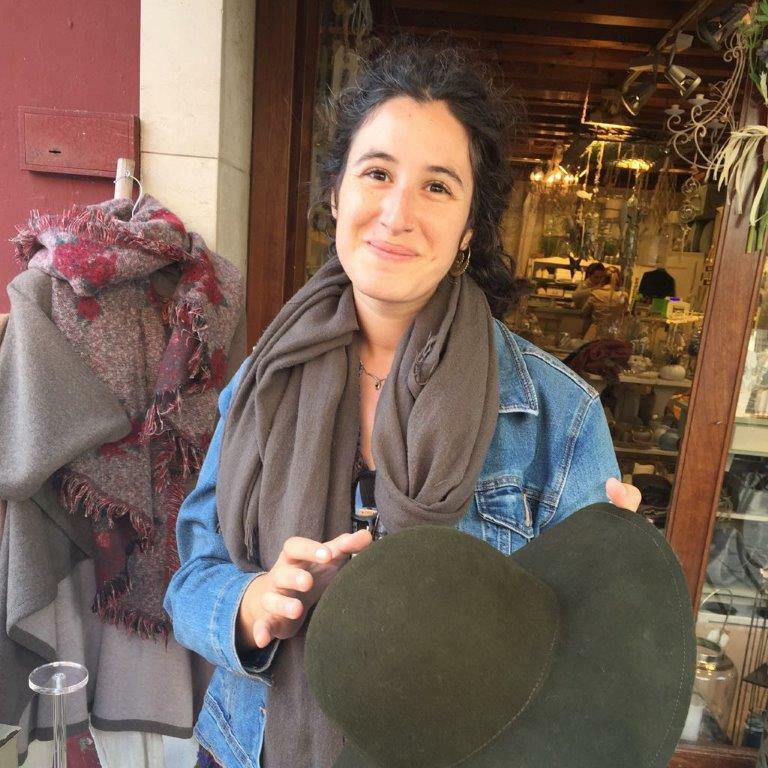 Chana Raskin’s song-filled Chasidic upbringing infuses her with tefila (prayer) and nigun (Jewish melody), and carries her in each moment of work and rest. 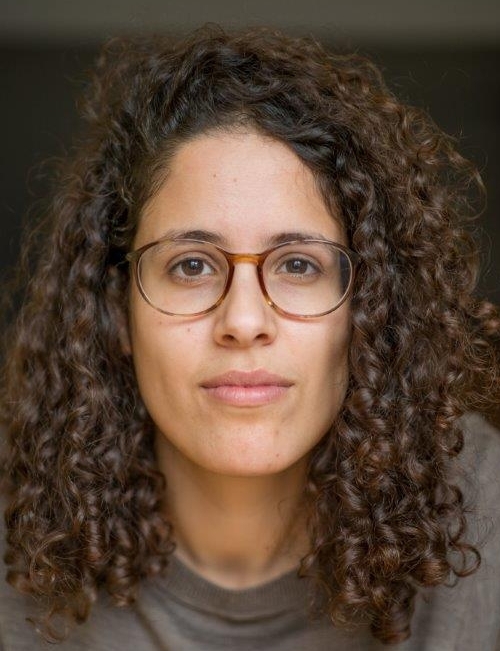 Her appreciation for quiet spaces that invite deep listening, receiving, and connecting in with our simple selves, with Higher, and with our communities, has moved her to lead tefila spaces, as well as teach and perform nigunim in and around New York, Jerusalem, and Tel Aviv. Still on a journey of her own self-healing from injury and trauma, Chana strives to hold a space with others recovering from illness or traumatic injury, through the healing powers of quiet, laughter, humming, singing, and movement. Chana is currently a member of the kollel at the Pardes Institute of Jewish Studies in Jerusalem. Dorothy Richman serves as rabbi of Makor Or: Jewish Center for Meditation and teaches Torah widely throughout the Bay Area and beyond. She is a soulful leader of traditional and creative ritual, and recently released an album of original music called Something of Mine. Through Songcycle, which started in 2017, she is writing and recording a new song video each week in partnership with BimBam. Dorothy is also working on a performance piece exploring The Jazz Singer, Aretha Franklin, and medieval law to question what it means to pray and how to find your voice. A multi-instrumentalist, songwriter, and bandleader, Micah Shapiro has recorded multiple live albums of original settings to Jewish prayer and founded Boston’s Shabbat Sing Out and Jewish Songwriters’ Collective. He received his rabbinic ordination from Hebrew College and serves as the Rabbinic Fellow for Innovation at Penn Hillel. Taya Mâ Shere co-founded and co-directs Kohenet Hebrew Priestess Institute. She is co-author of The Hebrew Priestess: Ancient and New Paths of Jewish Women’s Spiritual Leadership and Siddur HaKohanot: A Hebrew Priestess Prayerbook. Taya Mâ’s chant albums Wild Earth Shebrew, Halleluyah All Night, Torah Tantrika, and This Bliss have been heralded as “cutting-edge mystic medicine music." She teaches at the Starr King School for the Ministry and is a practitioner of somatic experiencing and ancestral lineage healing.